Princess Cruises has defended its decision to allow cameras on board one of its liners after travel agents claimed tourists have been put off by its documentary The Cruise Ship. Paul Ludlow, Princess Cruises’ managing director in the UK and Europe, stated that the company is currently 50 per cent ahead of its sales target and he claimed the series “really picked up momentum” over the course of its run, reports Travel Mole. He said: “Our weekend web traffic has doubled and enquiries have spiked, particularly from those new to brand. We hope this effect is being felt across the industry and we’ve received a number of comments from agents that the series led to a sharp increase in new-to-cruise customers. But travel counsellor Helen Wheatley claims tourists have been put off booking a cruise as a result of the four-part documentary, with one would-be cruiser describing it as their “worst nightmare” after seeing the show. Personal travel advisor Jane Haughey added that she believes it was a “daft move” on the part of Princess Cruises, due to the fact the liner depicted in the programme came across as a “party ship”, which may be off-putting for some people considering booking a cruise trip. 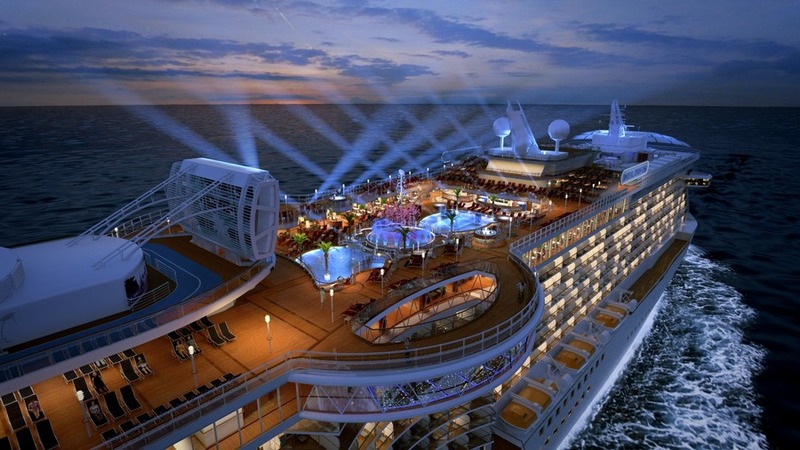 In order to make the ITV series, cameras were on board Royal Princess for a five-week period last year, with the voiceover provided by comedian, actor huge cruise fan John Thomson. Crystal Cruises has developed an excursion product aimed especially at guests who like to sleep in. While shore excursions typically launch 30 minutes to an hour after docking or tendering operations begin, these excursions will start at 11 a.m. or noon, depending on the itinerary. They are designed to dovetail with a late-riser’s breakfast served from 10 a.m. to 11:30 a.m. on both Crystal ships. “The ‘Late-Risers Adventures’ allow guests who prefer more sleep in the morning, are perhaps still adjusting to a time change, or simply like to enjoy a long, leisurely breakfast, to keep their preferred schedule ,” said Crystal President Edie Rodriguez. The new, later excursions will be offered beginning with Crystal Serenity’s Sept. 19 Boston-Quebec sailing, and on Crystal Symphony’s Sept. 27 Hamburg-Lisbon sailing. No matter where the travel industry shifts its focus, climate change is a clear and present danger. From severe weather systems to polar ice melt, from warming waters to rising sea levels, its effects pose serious threats to natural resources and travel destinations the world over. More immediately, climate change is compromising travel and tourism infrastructure with greater frequency and urgency than ever before. Travel and climate experts alike say the industry has a lot to lose if it fails to acknowledge both its contributions to climate change and economic and environmental opportunities: It should embrace more energy-efficient strategies and use travel products to help travelers understand climate change and its impact on destinations. Last month, the Intergovernmental Panel on Climate Change issued a sweeping report on the causes and effects of global warming, asserting that transportation systems — planes, trains, cars and ships — account for about one-fourth of all energy-related carbon emissions worldwide. “Without aggressive and sustained policy intervention, direct-transport carbon emissions could double by 2050,” the report warned. If the world doesn’t reduce carbon emissions, we can expect to see more intense droughts and floods, more and longer heat waves, more wildfires, thawing permafrost, melting ice caps, disappearing glaciers and rising sea levels, according to the report, which was designed to relay the overwhelming consensus of the scientific community. As glaciers erode, wildfires engulf forests, rising seas eat away at coastal beaches and the warming of the world’s oceans causes coral bleaching, destinations across the globe that travelers visit in large part because of their natural beauty are changing, and in some cases they could soon disappear entirely. The notion that travelers should rush to see certain natural phenomena before they are gone forever has been dubbed “climate change tourism.” It’s a phenomenon that Greenland has experienced, as word got out that some of its notable northern glaciers are beginning to fade away. Sarah Woodall, a research consultant for Visit Greenland, remarked that there are some sections of the Greenland ice sheet that are at risk of permanent alteration, as are glaciers, including the Ilulissat Glacier on the west coast, which fills the fjord and Disko Bay with massive icebergs year-round. Woodall noted that dogsledding, a traditional transportation method for hunters and fishermen and a popular tourist attraction, has declined along with the amount of sea ice. In northwest Greenland, she said, it has been reduced to the point where the activity itself is endangered. According to Bob Simpson, vice president of product operations and small ships at Abercrombie & Kent, regions he has observed that are currently undergoing rapid and likely permanent alterations due to climate change include the Antarctic Peninsula (though the east side of the Antarctic continent has not yet begun to warm); the Arctic, including the Svalbard Islands, Alaska and the Kamchatka Peninsula of Siberia; central Canada, including the lake and spruce forests of Manitoba and Nunavat, Churchill and Hudson Bay; Greenland; and Iceland. But whether or not to promote these destinations on the basis of their possible eventual disappearance poses both practical and ethical challenges. “The Catch-22 situation here is that when a revered organization such as the national tourist board suggests that tourists visit a particular site or do a particular activity, especially with the buzz phrase ‘before it is too late’ attached, the effect is a rapid increase in visitation, which can, ironically, contribute to the faster decline of the very site the organization promotes,” Woodall said. However, Bruce Stein, director of climate change adaptation at the National Wildlife Federation, said messaging that might be seen by some as fear-mongering or even shameless self-promotion is in many cases simply a matter of communicating the realities on the ground. 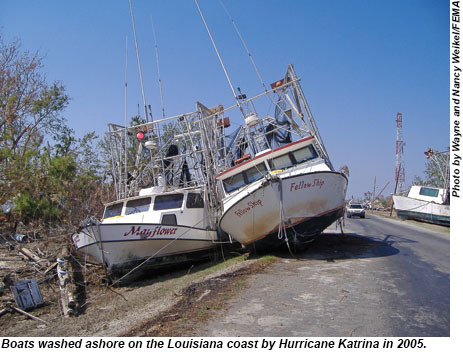 Stein provided several examples of environments experiencing forms of distress that could have a direct impact on tourism: the constricting of beaches on low-lying islands as sea levels rise; coral bleaching caused by warming waters in the Caribbean; shifts in vegetation in the Arctic that could affect wildlife; the melting of permafrost that supports roads in Alaska; reduced snowfall for skiing and mountain sports; and less-than-favorable conditions for the Joshua trees in Joshua Tree National Park. While it has created numerous fronts for concern, there is an argument to be made that not all the results of climate change are bad. While Beck had no shortage of examples of the negative effects of climate change on the world’s coastlines and ocean resources, his view offered a counterpoint to the doom-and-gloom alarmism that often prevails in climate change discussions. If a glacier melts, will the naked landscape it leaves behind necessarily be less attractive? Perhaps it will, but in an ever-changing world, it also makes sense to embrace, perhaps even see as beneficial, some of the inevitable transformations to come. “The unofficial mantra in Greenland is ‘Adapt and thrive,'” Woodall said of that country’s approach to its changing landscapes. Along those lines, rather than just look at the challenges that lie ahead, Visit Greenland is identifying opportunities within its tourism sector that climate change can facilitate. For example, Woodall said, it is looking at how rising temperatures could help the destination expand its allure beyond its traditional high seasons of spring and summer. 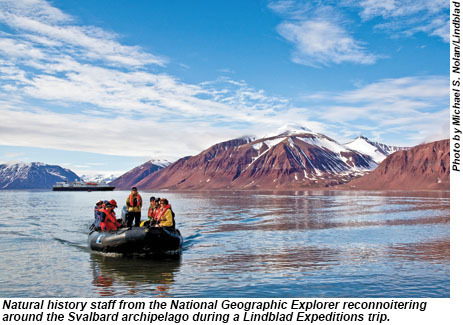 Along those lines, several companies have recently added expedition cruises through the Northwest Passage, a sea route that traverses the Arctic Ocean, connecting the Pacific and Atlantic. Formerly a treacherous, verging on impossible route to pass, polar ice melt has literally helped clear the way for cruise ships to sail through. Crystal Cruises, Lindblad and Abercrombie & Kent are all offering itineraries that traverse the Northwest Passage over the next couple of years. The company’s former vessel, the Lindblad Explorer, in 1984 became the first passenger cruise ship to sail through the Northwest Passage. Looking back, Byus acknowledged that it had been a risky decision. “It’s only over the last 10 years that the ice has been more reliably decreasing through that passage,” he said earlier this month, just days before the 148-passenger National Geographic Explorer was about to head into the Northwest Passage. Crystal is offering a 32-day cruise on the Crystal Serenity in August 2016 from Anchorage to New York by way of the Northwest Passage. And Abercrombie & Kent is adding a Northwest Passage itinerary next year onboard the 200-passenger Le Boreal, which will sail from Aug. 21 to Sept. 11. When 13 people were killed in Nepal earlier this year in the deadliest avalanche ever on Mount Everest, it served as one of the more recent wake-up calls about the effects of climate change on the world’s most precious resources as well as on the people traveling to experience them. As the industry looks to future development, it is finding it has little choice but to take climate change into account, in terms of both accountability and activism. Like Lindblad’s Byus, a growing number of travel experts agree that the industry will first have to look inward at its own footprint and determine how to reduce it. The economic benefits of improved fuel and energy efficiency are already enticing companies to take a closer look at greener strategies, an approach that ultimately could become the status quo for companies that want to cut costs. To that end, groups like the Nature Conservancy are constantly brainstorming ways that profit-making industries, including travel, can help improve their bottom line while helping to combat climate change. 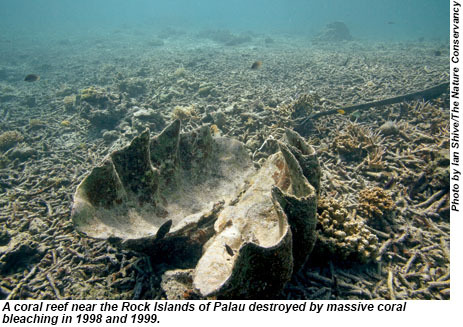 Rather than build costly seawalls or spend millions of dollars replenishing beaches that have been wiped out by severe storms, Beck suggested that destinations build up and restore their reefs. Hotels, too, should try to reduce their losses by not building too close to the coastlines, he advised. Whatever the cost benefits, however, climate experts warn that if the public and private sectors don’t get proactive about reducing carbon emissions, financial and environmental losses to climate change will continue to mount across the board. Extreme weather patterns and more frequent flooding will take a serious toll on roads. Thawing permafrost has already reduced the winter ice road season in Alaska from 200 days in the 1970s to 100 days in some areas. More storms could increase the number of weather-related air travel delays and cancellations. Airport runways and infrastructure are particularly vulnerable to changing temperatures. Higher temperatures pose a threat to rails because of thermal expansion and buckling. 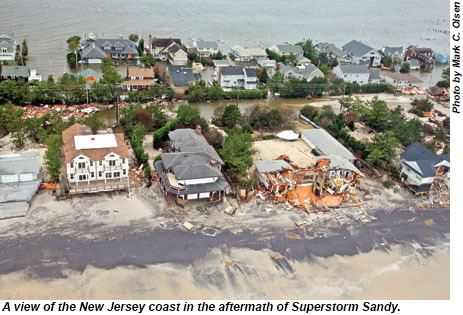 Underground electric rail systems are vulnerable to heat waves and flooding, as was the case during Superstorm Sandy, when eight under-river subway tunnels were flooded in New York and New Jersey. Where the travel industry has the influence and ability, climate experts say solutions should include looking at ways to reduce emissions, including improving vehicle efficiency; shifting to lower-carbon-per-passenger forms of transportation, such as from private cars to mass transit; and replacing gasoline and diesel with alternatives that emit fewer greenhouse gases. In commenting for this report, conservationists and travel companies all agreed that one of the biggest opportunities the travel industry has with respect to climate change is its ability to bring those changes to life for travelers. “In a comparatively small way, the tourist industry does generate greenhouse gases through its reliance on ships, planes and automobiles,” said James McClintock, Antarctic researcher and author of “Lost Antarctica: Adventures in a Disappearing Land” (Macmillan Science, 2012). Indeed, climate change is clearly becoming a larger part of the conversation among travelers, especially those heading to affected regions. Tour operators and travel companies say their guests are asking about it more and engaging local guides in more informed and vibrant conversations about the topic and what can be done about it. 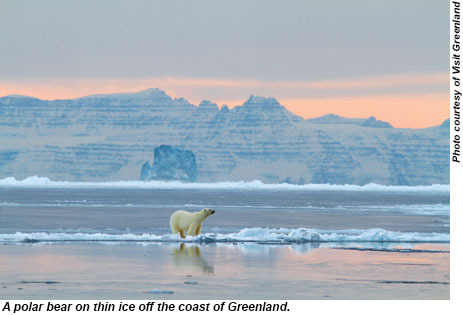 Woodall, too, expressed the hope that visitors to Greenland will leave with a better understanding of how climate change is manifesting itself there as well as with an understanding that it isn’t all bad news for travel. “What should go hand in hand with the promotion of visiting the Greenland ice sheet, glaciers and icebergs is an education about what the changes to the natural landscape at the ground level realistically look like,” she said. A new visitor center in Ilulissat in connection with the Ilulissat Icefjord in Greenland has been developed as a place where tourists can learn about climate change. Conservationists argue that similar measures could have the same effect worldwide.